3/8 fl. oz. 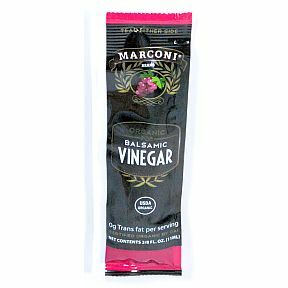 Organic Balsamic Vinegar in individual size packet. Ingredients: Organic Balsamic Vinegar. Contains sulfates. Acidity 6%.